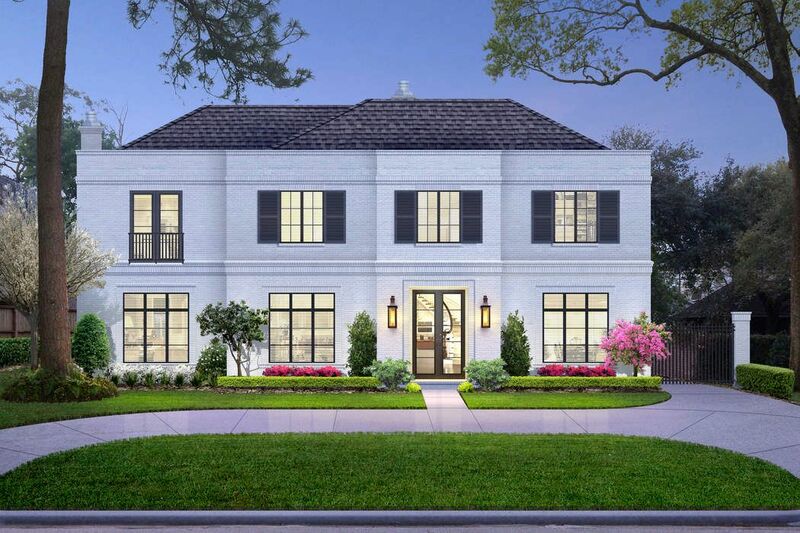 3851 Chevy Chase Drive, Houston, TX 77019 | Martha Turner Sotheby's International Realty, Inc.
3851 CHEVY CHASE - Soon-to-be built in River Oaks! Still time to work with Builder to "make it your own!" Been waiting for a beautiful lot on a premiere street? Here it is. $5,295,000 4 Bedrooms5 Full / 2 Partial Baths7,590 sq. ft. Finally, a new River Oaks home to be built on the prestigious north side of Houston's most premier inside-the-loop neighborhood. Steve Streller of Charter Custom Homes will bring to life a traditional white brick home to grace the large, lovely lot on beloved Chevy Chase. Plenty of time to personalize the plans to suit your needs and desires. Visualize 4-5 bedrooms, all with en suite baths, a grand, yet family friendly great room and all of the entertaining spaces imaginable. Family and friends will be able to enjoy the backyard year-round with its beautiful lanai/summer kitchen and plans for a pool. No expense spared when it comes to quality and style. Set up an appointment to walk the lot and meet the builder.